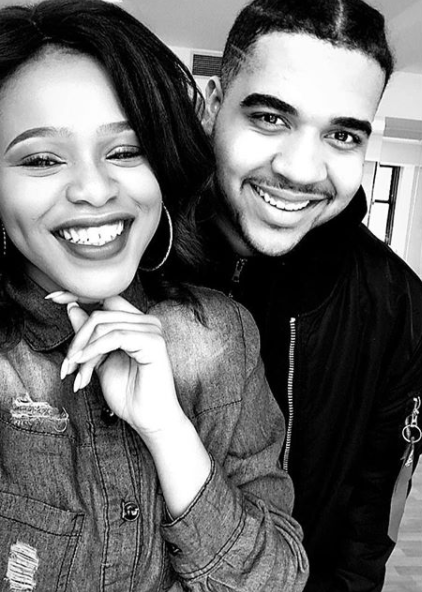 It has been a few years since Natasha Thahane was thrust into the spotlight when she bagged a role on SABC 1's, Skeem Saam. Since her debut on the popular show, she has managed to solidify herself as one of South Africa's most loved young actresses. After leaving Skeem Saam, the New York Film school graduate joined Mzansi Magic's The Queen for a couple of years before she left the show to further her education. A couple of weeks ago, it was revealed that the star had bagged a role on Imbewu and she will play the role of Liyana Luthuli, who is set to bring comfort to the Bhengu family. Fans will see the starlet in action from the 25 January on e.tv. Over the years, we have seen Natasha grow up right in front of our eyes and during the #10YearChallenge that took the internet by storm, the actress shared pictures of how much she has grown. This is not the first time the former child star has proven that she is now a grown woman. While living in New York, she made her relationship with a man she met at school public by often posting their loved up snaps. It has been a couple of months since Natasha has shared pics of this man, though. Well, whether they're still together or not actually doesn't matter because it looks like the star is doing just fine. Just to show how much she has grown, the actress often shares encouraging messages on her social media pages. We especially loved this one: "RESILIENCE - Facing life’s difficulties with courage & patience — refusing to give up." Just looking at what the actress has achieved in the last couple of years, we have no doubt that she's one of those stars who will be around for a long time. We've loved watching her journey so far, and cannot wait to see what else she has in store for us.